TNPSC நடப்பு நிகழ்வுகள் – ஏப்ரல் 2018 இலவச ஆன்லைன் வகுப்பு – Group 1, Group 2, Group 2A, Group 3, Group 4, VAO, TET, TRB, TNUSRB. 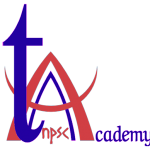 Current affairs that is needed for TNPSC EXAM exam preparation is updated every day (except Sundays) on this page. Please click below links to visit current events of respective days. These current events are prepared from The Hindu, PIB, Tamil Nadu Government Portal, Business Standard, Wikipedia and other standard sources. These current events are free of cost and we request you NOT to buy these from photocopy shops which are illegally sold without our permission. Current Affairs units will be updated Everyday.